While we do every day to day operation in our offices, with the latest tools, software and desktop agents developed and customized for our businesses, the one thing that works in the background without making us realize its working is ERP. The following post will be reflecting on the Impact of ERP on Organizations, evaluate how different ERP tools has made the day by day business processes more efficient more reliable more secure, more productive and the Benefits of Implementing ERP in every kind of business. #1 – Data crucial to business processes is stored in a usable format. The ERP tools offer the employees as well as the Management Committee a better and more reliable control over the crucial data. The company heads can access all kinds of information relevant to business, for example, the number of sales made by an employee, inventory management, project management, the point of sales management, Human Resource Management and manufacturing processes management. ERP tools allow the management to store data categorically and use the same in the best possible manner. Employment of data in the right manner produces highly profitable deliverables which is one of the biggest Impact of ERP in Business. #2 – Automation of Customer Services Processes. The employees are offered a better control over the tasks allotted to them and they can easily automate their customer service process. The ERP solutions allow them to streamline their customer experience. The employees are able to offer better and more efficient experiential service to their customers in a constant manner. Time-saving by automation is another Impact of ERP Implementation on the business process. Though one might argue over the initial expenditure done towards the installation of ERP systems in any business, the Benefits of Implementing ERP override the initial expenses and prove to be money savers in the long run. Management of data is done automatically; the backend of every process is managed perfectly without any loose ends or erroneous feeds; more amount of work can be accomplished with lesser human resource and the overall business process management is effectively done. 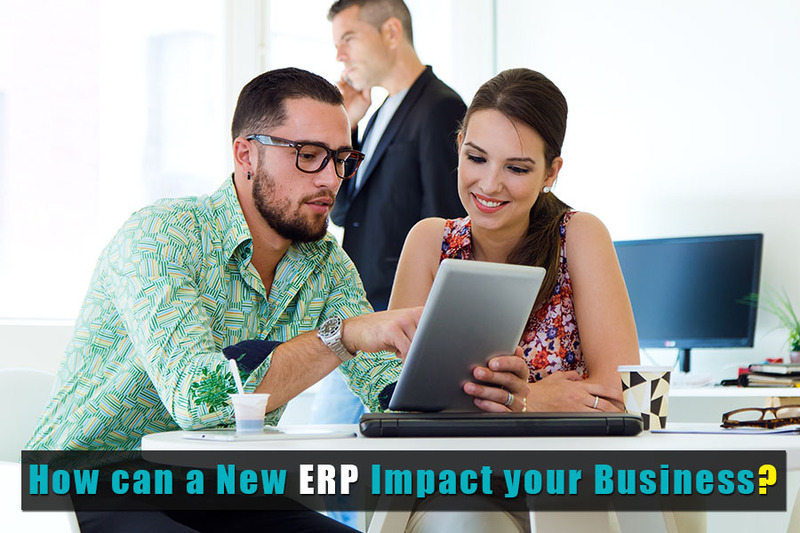 The Impact of ERP in Business is so powerful that business of every scale and type can be effectively run and managed with one tool customized as per the needs. Generally, one of the most undermined aspects of the ERP solutions is their ability to scale the current IT capabilities of a business. To understand this in a better manner, let’s consider a scenario where a company needs to store excess data or information or needs excess processing power. Now, the company can save resources as well as the effort by using cloud SaaS (Software as a Service) or some internet based ERP solution for these purposes. This will save the money spent otherwise on buying the hardware and other such solutions. Saving resources with perfect ability scale-up or scale-down as per the needs arising with time is the most crucial Impact of ERP Implementation in businesses of all sizes and types. With the help of the ERP solutions, the enterprises and businesses can achieve more productivity as all the departments are integrated properly. The roles, transactions, processes and roles are effectively assigned as well as managed in an organization with ERP solutions. This way the business processes become smoother and efficient. Once you have achieved perfect integration inside your business, you can take one more step and achieve perfect integration with your suppliers, partners and customers. Any post reflecting on the Impact of ERP on Organizations will not be complete without discussing this point. 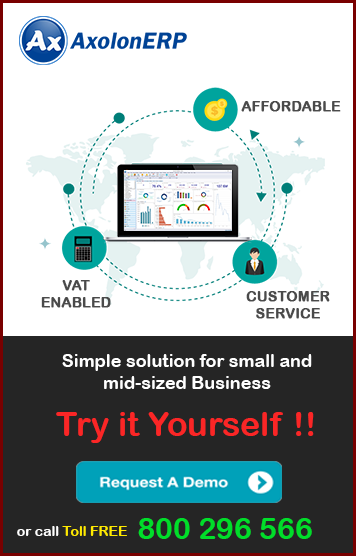 ERP solutions make your businesses future-ready as your processes are managed with automation and every single resource allocation, management and data management is done in the best possible manner. You can retrieve any kind of information at any time and make the business processes compatible with the unexpected growth curves and the scale to meet new demands arising in the market. One of the best Benefits of Implementing ERP in the businesses is that the cost-cutting and monetary resource management can be done very effectively. The non-productive counterparts of the business can be easily identified and removed without any brainstorming. Various costs such as hardware purchase; costs due to poor management of the project timeline and manpower to handle data that can be easily operated, handled and managed by the automation can be effectively handled with the ERP Solutions. How to choose the ERP Solutions?? Having explored the impact of ERP Implementation in the day to day business processes, let us understand one more thing that the best impact can be achieved only by employing the best ERP Solutions. Though one can argue that the Benefits of Implementing ERP solutions available online (free of cost or cheap) will be similar to the one that is custom-made; the one fact that remains is that the custom-made ERP Solutions or the solutions that come with customization options and has been developed by the reputed firms, is far more effective. The Axolon ERP offers all kinds of ERP Solutions for all kinds and sizes of businesses and comes with the assurance of quality, security and accurate working.